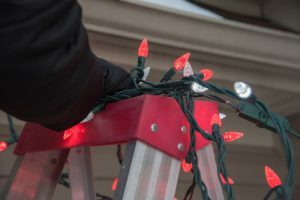 As we all know, the holidays can be full of joy, but they can also be dotted with pain and discomfort. If you suffer from back pain and neck pain already, you’ll want to be careful of how you strain yourself as you prepare and celebrate for the season. 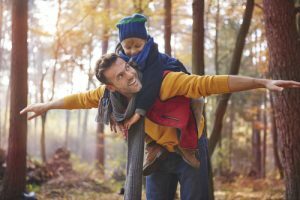 Even people who have never suffered from back pain find that this time of year is often the culprit behind a new discomfort. The shoulder is the most movable joint in the human body and does a lot of work every day. Because shoulders have such a wide range of motion, they are far more prone to injuries and shoulder pain. Just like back pain, shoulder pain can range from mild to severe. It can keep you up at night or prevent you from having full mobility of your arm. Think you’re too old to get tricked by Halloween? Think again. There are plenty of haunting back and neck problems that can result from the wrong moves in October. 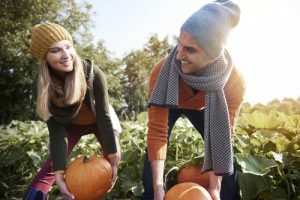 If you’re careful, you can enjoy the whole season with your family without creating or exacerbating back pain or neck pain. Keep your eyes open and your wits about you to enjoy all treats and no tricks. Any fall for any adult can cause acute back pain and create ongoing back problems. 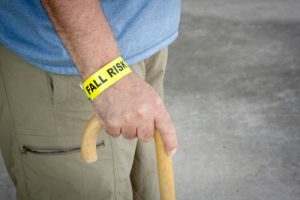 Older adults, however, are at a higher risk of falling. According to the National Council on Aging, 1 in 4 Americans age 65 and older fall each year. Prevent Back Pain: Is Your Child’s Backpack Too Heavy? School is now in full swing and your child may be coming home every day with quite a load on their back. So, exactly how heavy is your child’s backpack? According to the American Occupational Therapy Association (AOTA), children who carry more than 10 percent of their body weight can experience back pain and other discomfort. Your kids will be carrying backpacks for a long time. Get them on the right road so they can prevent injury now and in the future. 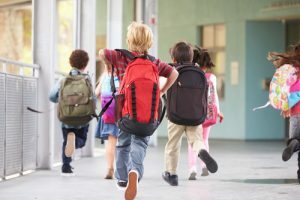 Read morePrevent Back Pain: Is Your Child’s Backpack Too Heavy? Parents of babies and young children strain their bodies in the care of their little ones. Not much time is spared for how you’re contorting your body or moving in the wrong ways to tend to your child. If you’re experiencing chronic back pain, neck pain, or other physical discomfort, you can easily pinpoint a source of that pain. 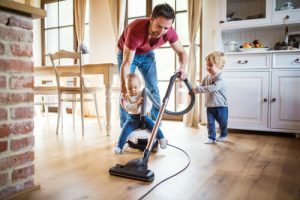 Taking care of a household chore, no matter how cumbersome or time-consuming, creates a sense of accomplishment. Unfortunately, for many people, some chores also leave them with back pain. If you have chronic back pain or a degenerative spinal condition, your chances of being in agony after a day of house cleaning, or even just a chore or two, are far more likely. Is Texting Giving You Neck Pain? Once upon a time, a landline was the way people communicated. Now, smartphones are the chosen way to get in touch, and much of the time it’s texts that do the talking. Unfortunately, there is a side effect of texting. 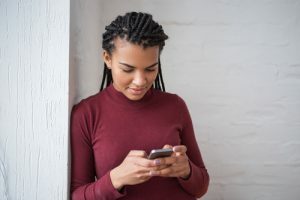 Look down at your phone, tablet, or other wireless or handheld device frequently or for too long and you could suffer neck pain and damage, also known as text neck. Read moreIs Texting Giving You Neck Pain? 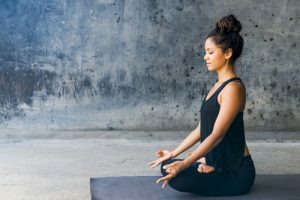 While nothing can substitute for a doctor’s care when it comes to back pain, between now and your appointment there are ways to help relieve some of your discomfort. Many of these pain relievers seem deceptively simple, but they can work wonders in making you feel better, at least for a short period of time. Does Your Sleep Position Cause Back Pain? When is the last time you got a good night of sleep? It may not be insomnia, or too much caffeine at night, or an infant waking multiple times that’s ruining your REM sleep. Back pain can destroy the chance of restorative sleep, which means you’re not only tired every day, you’re tormented by an aching back at all hours too. Read moreDoes Your Sleep Position Cause Back Pain?